A pair of reports issued yesterday and today are shedding some light on the behind-the-scenes negotiations that finally led to The Beatles' catalog finally coming to the iTunes Store yesterday. Billboard reports that the multi-year holdup in bringing The Beatles to iTunes was in large part a result of squabbling between record label EMI and Beatles holding company Apple Corps, neither of which had the sole power to reach a deal for digital distribution of Beatles content. Much of the impasse was between Apple Corps and EMI. Although EMI has the rights to exploit the Beatles catalog under an existing agreement with Apple Corps, there was enough ambiguity in the deal that EMI was not free to fully negotiate in the digital realm as it would have liked. "Apple Corp and EMI had some major issues to work through with respect to the granting of rights to exploit the master recordings that the Beatles gave EMI," a source with knowledge of the relationship says. 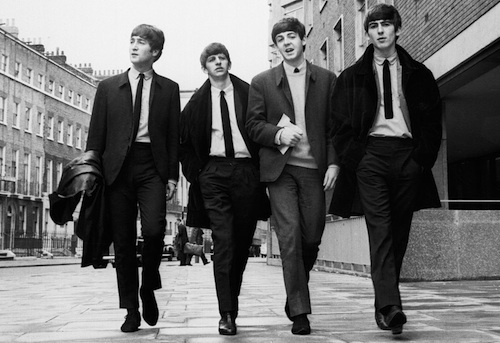 "EMI would never be in the business of doing something against the wishes of the Beatles." The stalemate was reportedly broken by EMI's new head of recorded music Roger Faxon, who made bringing The Beatles to iTunes one of his top priorities. On the other side, Apple Corps' Jeff Jones, who took over the reigns of the company in 2007, has also been credited with bringing a fresh willingness to negotiate to the table. While Billboard's report notes that Apple is assumed to have paid a "substantial" advance to EMI to obtain The Beatles' catalog, a report from The New York Post claims that no such such upfront payment was made to EMI as part of the deal. The New York Post's article also reports that Google and Amazon were pitching to obtain the digital distribution rights for The Beatles' catalog, but that Apple offered the other parties involved the best deal. Google and Amazon were also pitching to secure the Beatles rights for their own digital music stores, according to industry sources. In the end, Apple's iTunes, which remains the dominant digital music store, offered the Beatles the best deal despite the previous bad blood between the two entities, sources said. The Beatles are currently making a strong showing in Apple's lists of top iTunes Store sellers, with over 60 of the group's songs currently ranked on the Top 200 Songs list and all 17 of the album/box set releases ranking among the top 50 albums.